These days, water pumps wear more quickly than they used to. One of the reasons for this is the fact that the impellers on many pumps are now made of plastic. They break easily and wear out more quickly. Whoever wants to diagnose the defect correctly, normally can‘t do it without removing the water pump. That‘s now no longer necessary. The new water pump tester from KS Tools means that water pumps can be tested in situ. That saves the user a load of time and money. The equipment tests the function of mechanically driven water pumps. Obtainable from KS Tools under the product number 150.9020. „Removing a water pump always means a lot of time and effort“, declares the KS Tools project management. 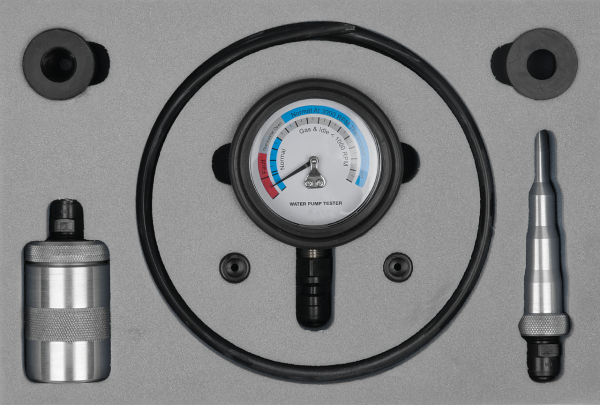 „So a lot of work can be saved with our new water pump tester.“ It‘s precisely in younger and current vehicle models that water pumps with plastic impellers are fitted. And these simply break more easily than those in which metal is used. They also wear faster so that such pumps fail more rapidly than the vehicle owner would sometimes suppose. Even so, it can be that such impellers are easier to remove from the drive shaft. If a water pump malfunction is suspected, the new test equipment from KS Tools can be put to very good use. It tests the function of mechanically driven water pumps in situ with the engine running. It measures the marginal rise in pressure when the water pump is pumping the coolant around the block. The attached, easy to read manometer indicates normal and abnormal increases in pressure at specific engine speeds. The operating instructions included are easily understood and show how the manometer can be linked into various systems and assists in the interpretation of the measured results. So an effective and time-saving diagnosis is possible without removing the pump. The mechanic can order the necessary replacement parts in advance. 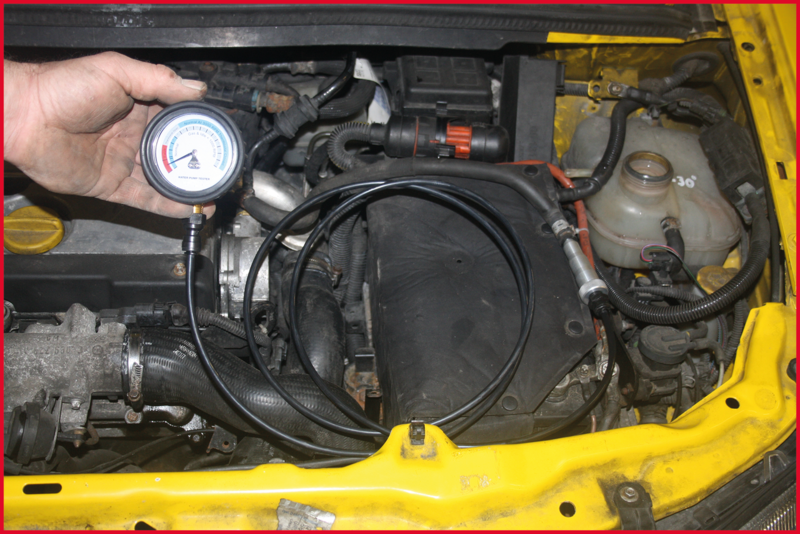 Motor vehicle professionals can test the function of the water pump using the tester. Typical causes of water pump malfunction can, for example, be a broken or worn impeller, a loose impeller slipping on the drive shaft or a jammed drive shaft. The manometer reacts in different ways to the possible causes of a malfunction. Thus objective conclusions can be reached as to the type of malfunction. With this test, of course, a slipping drive belt or even air in the system can be reliably recognised. 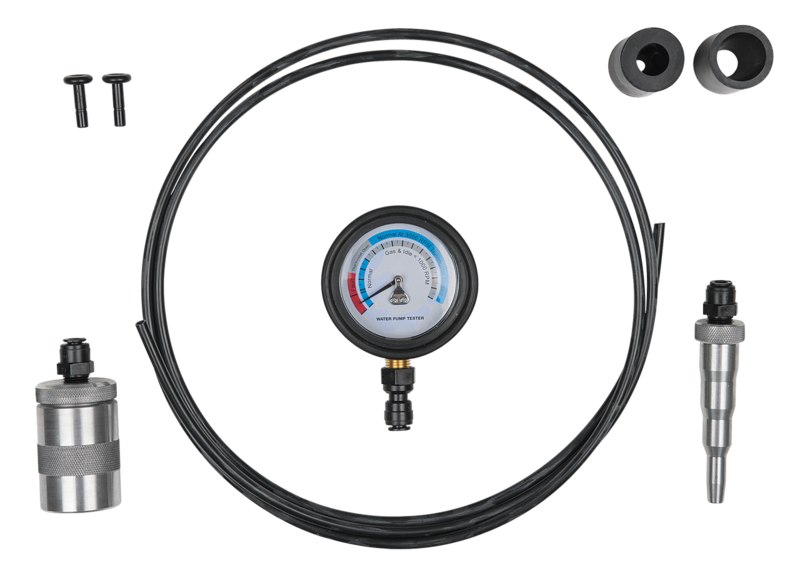 KS Tools supplies the water pump tester as a repair set with a low pressure manometer, 0 to 1bar (0 to 15 psi). Also included in the supply are two adapters with which the manometer can be linked into virtually any cooling system. The set comes clearly and neatly arranged in a sheet metal case with foam inlay.